After collecting so much information about the standard Raleigh Twenty (sometimes referred to as the "Nottingham" design), I found out that a unique version was produced by Morrison Industries in New Zealand. I wish that I had as information about this particular type as I did on the standard Raleigh Twenty. If you have one, a story about one, or know any technical information about, please let me know about it. Do not despair! 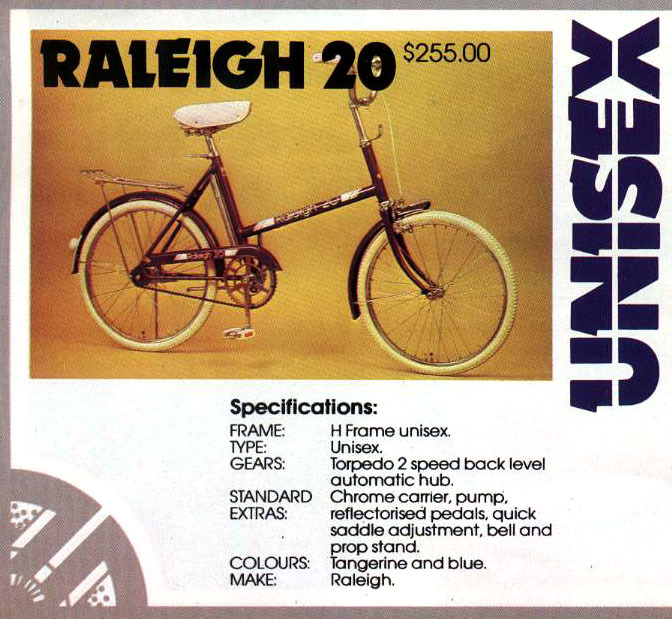 Michael Toohey has written an excellent reference source about New Zealand bicycles of the 1980's, which includes the Raleigh Twenty and is available online at this link.